Marketing has gotten more complex. The tactics that worked even a few short years ago are now obsolete. It’s becoming clear that iterative sprints leveraging mobile, social and location-based approaches and powered by data and insights, are required in order to thrive. Agile marketing is now a common approach, and includes a healthy loop of building, testing, measuring, learning, refining and improving. There are five trends that you need to be on the lookout for when creating your marketing plans in the coming year, a combination of focus on results and a set of new channels that can connect directly to the bottom line. A new survey commissioned by Adobe of 1,000 US marketers shows that marketers are most concerned about reaching customers and being able to understand whether their campaigns are working and effective. They also overwhelmingly feel that companies won’t succeed unless they have a strong digital marketing approach. After years of hiding behind soft marketing metrics, it’s also increasingly clear that the "so what” matters, a lot. Three of the top four items that those surveyed are concerned about have to do with measurement and ROI. (The four top items were "reaching customers,” "understanding whether campaigns are working,” "proving campaign effectiveness” and "demonstrating marketing return on investment”). The bottom line is that results matter. As marketing moves to a more data-driven approach in 2014, it is essential to have analytics tools in place that allow measurement of the effectiveness of the tests and tactics you are deploying. Google Analytics in combination with Google Webmaster Tools is a good way to start. Additionally, there is a whole range of useful tools to perform A/B testing including Optimizely and Unbounce, funnel metric tracking like Mixpanel and KISSmetrics, and user feedback tools like Qualaroo and SurveyMonkey. Two tools that belong in every toolkit are Google Analytics and Facebook Insights (and they’re free). Google Analytics: Signing up is free and all you need to do is drop a few lines of code into all the pages you intend to track. Make sure to explore event tracking on buttons and links and creating "goals” that map paths through your website and their corresponding action (eg. sign-up or download). Facebook Insights: Facebook has some good insights about your Facebook profile, demographics and usage via their Facebook Insights tool; also recommended is claiming your domain via "Insights for your Website.” This provides further data on actions where people have posted a link to your site, how often posts with a link to your site have been viewed and how many people have clicked through to your site from Facebook (aka referral traffic). In addition to the tools noted above, many social sites including Twitter, App.net, Pinterest and others also allow you to claim your domain to receive more detailed analytics and insight on engagement and traffic generated through those platforms. Two of the biggest social media success stories of 2013 were BuzzFeed and Upworthy. In addition to both having breakout success this year, the other thing that these two sites have in common is a focus on content curation and presentation of that curated content, versus content creation. In both cases, finding the content that mattered to their audiences and sharing that content in a meaningful way trumped creating their own content from ground zero. The great stuff is already out there in the long tail (and there will always be a larger number of great pieces of content outside the walls of your organization than created within them). As marketers in 2014, honing your workflow for content curation, packaging and sharing will be as significant, or even more significant, than content creation itself. Inbound marketing is a highly effective way to generate awareness, convert customers and give advocates something to talk about. In a world where advertising is increasingly "tuned out,” the creation and sharing of media and publishing content is paramount to achieving business goals. 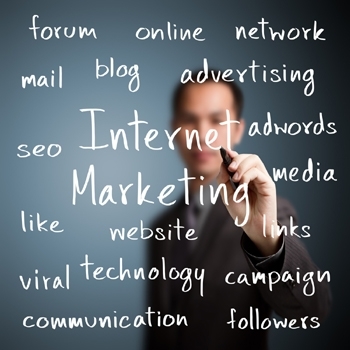 Inbound marketing focuses on online channels and their usage. By providing value in the form of information and making that information findable via search (SEO) as well as distributing it through social channels, prospective customers learn about the brand driven by their interests, rather than as a result of interruption marketing or outbound cold calls.